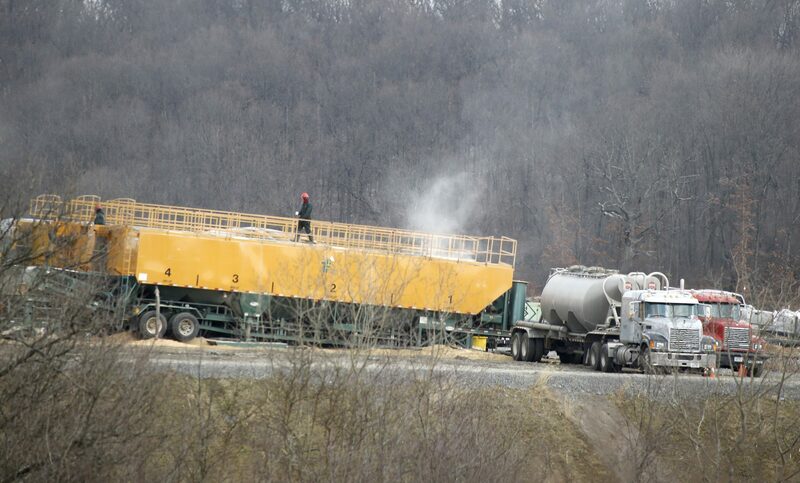 Workers at a hydraulic fracturing site in Susquehanna County. While fracking has created an economic boon for Pennsylvania and helped increase natural gas usage as a cleaner-burning energy source, it has also led to myriad environmental concerns–from water contamination to earthquakes. Daniel Raimi, a senior research associate with Resources for the Future, tells a nuanced story of the nation’s fracking boom in his new book, The Fracking Debate: The Risks, Benefits, and Uncertainties of the Shale Revolution. Raimi appeared Friday on WITF’s Smart Talk to discuss the effects fracking has had on human health, water quality, the economy, and U.S energy independence.